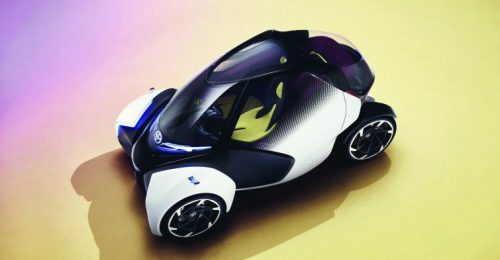 The Toyota i-Tril Electric Vehicle Concept Car was developed by Toyota Motors Europe (TME) in collaboration with the company’s ED² design studio in Nice; the new i-TRIL Concept showcases numerous innovative aspects of Toyota’s research into ever better and more engaging environmentally- friendly mobility solutions. 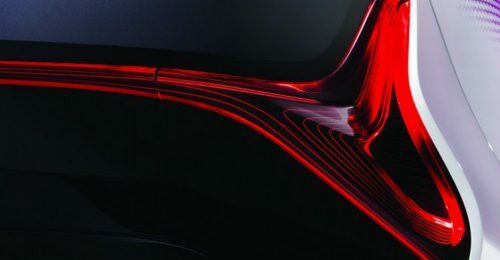 Making its world debut at the 2017 Geneva motor show, and featuring Active Lean technology, the new i-TRIL concept represents a viable alternative to A and B segment cars, other EV products, public transport, and motorcycles. 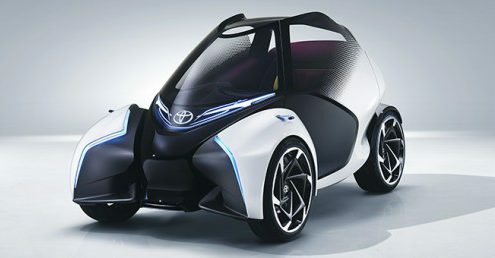 A different type of transport for those who still wish to have fun while driving even at slow speeds in the urban environment, it represents all the best elements of future mobility beyond mere eco-friendliness. 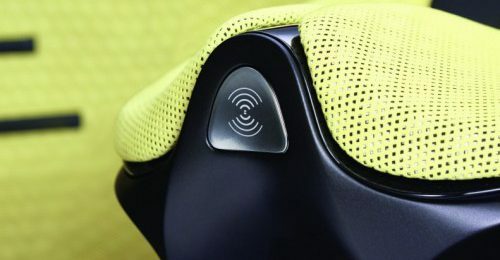 The i-TRIL has been developed with a new type of customer in mind: a sophisticated, single, 30-50-year-old active female with two children and a vibrant lifestyle. And she lives in an SMESTO (Small to Medium Sized Town). European Union studies on the future of cities have suggested that, rather than further expansion of already vast metropolitan areas such as London and Paris, the continent will witness a steady increase in growth of built-up areas adjacent to existing cities, in the manner of medium-density suburban pockets of development. 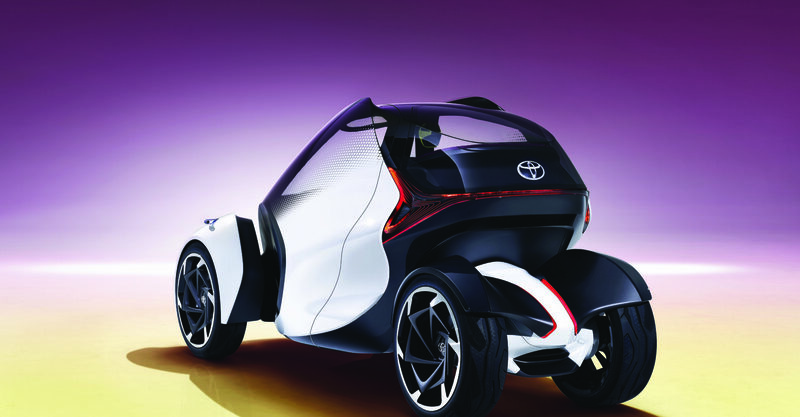 Driven by electric motor power and weighing just 600 kg the i-TRIL is some 2,830 mm long and 1,460 mm high. It features 1,200 mm front and 600 mm rear track widths, with a hinge between the rear axle and cabin allowing the vehicle body and front tires to lean while the motorized rear tires remain perpendicular to the road surface at all times. 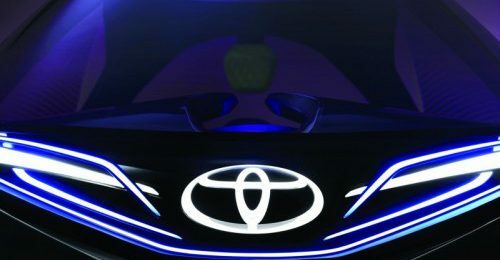 Aspiring an actual driving range of more than 200 km between charges, the new Toyota concept is capable of operating autonomously but has been specifically conceived to provide such driving pleasure that owners will wish to drive themselves for the majority of the time. The butterfly-opening doors are hinged on the sloping A-pillars to maximize the opening area and ease of cabin entry to even the rear seat passengers while requiring no more opening room within a car parking space than conventional doors. 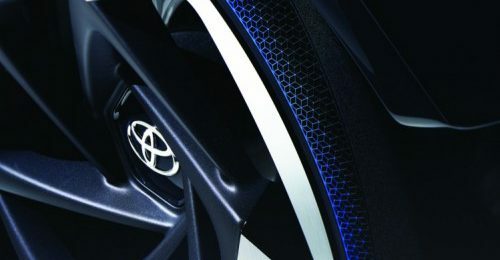 Steering, acceleration, and braking are all carried out via drive-by-wire technology. 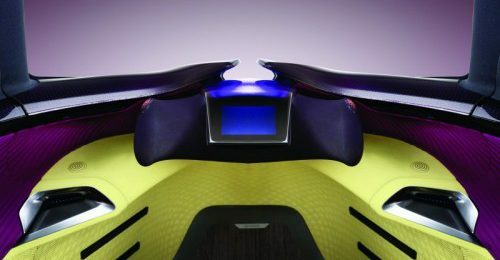 The i-TRIL is operated by left- and right-hand control nodes (in the manner of computer mice or game controllers) which extend towards the driver’s hands beneath the stretch fabric covering the manual driving module. With its One-plus-Two seating layout, the i-TRIL redefines interior space and spaciousness. 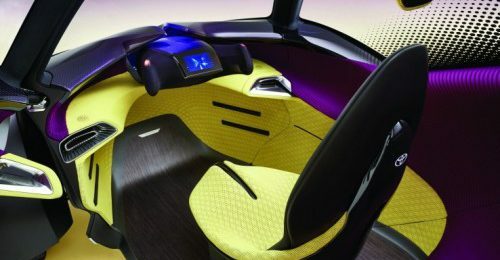 Current interior design philosophy hinges on everything being built around the driver, with rear seat passengers very much regarded as second class citizens.